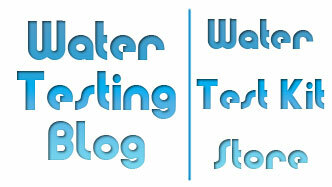 Question: Where Can I Get a Water Test Kit for a Science Project? My son is doing a science project on the water in the creek by our house. He wants to measure the runoff contaminants after a rain storm and then measure again a few weeks later to see the change and what was washed into the creek. What test kits should he buy and where should he get it. 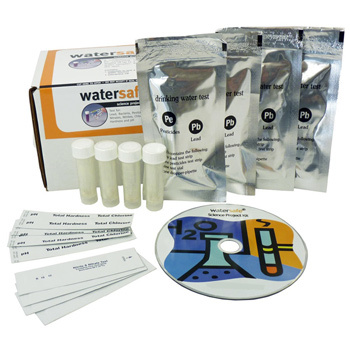 WaterSafe manufactures a science project test kit which may prove useful for your son’s project. The WaterSafe Science Project Kit includes tests for Lead, Bacteria, Pesticides, Nitrates, Chlorine, Hardness and pH. It comes with enough testing materials to test a total of four separate bodies of water or the same body of water on four separate occasions. The kit also comes in a larger size which includes ten sets of tests for the parameters mentioned above. See Science Project Kit 10-Pack for additional details. 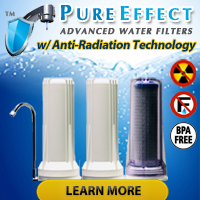 As a general rule, you will not find a test kit that can test for chemical pollutants because testing for such items typically requires the use of advanced laboratory techniques and/or equipment. This does not mean, however, that you cannot test for other, more natural forms of pollution. The USEPA forbids the dumping excessive amounts of iron, copper, chromium, arsenic, mercury, cyanide, etc. into the environment… and at-home test kits DO exist for those compounds.